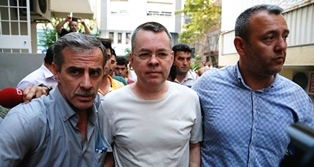 IZMIR, TURKEY (ANS – August 1, 2018) — The BBC is reporting that the US has imposed sanctions on Turkey’s justice and interior ministers over the continued detention of pastor Andrew Brunson. The evangelical from North Carolina has been held for nearly two years over alleged links to political groups. “We believe he’s a victim of unfair and unjust detention,” White House press secretary Sarah Sanders said. She added that the two Turkish ministers had both played “leading roles” in the arrest of the US pastor. “As a result, any property or interest in property of both ministers within US jurisdiction is blocked and US persons are generally prohibited from engaging in transactions with them,” she said. Mr. Brunson is a long-term resident of Turkey. He lived with his wife and three children while working as the pastor of the small Izmir Resurrection Church, which had a congregation of about two dozen. The authorities accuse him of having links with the outlawed Kurdistan Workers’ Party (PKK) and the Gulenist movement, which Turkey blames for a 2016 failed coup. Mr. Brunson has denied charges of espionage but faces up to 35 years in jail if found guilty. He was moved into house arrest last week for health reasons, but US Secretary of State Mike Pompeo said this was not enough. “We have seen no credible evidence against Mr. Brunson,” Mr. Pompeo tweeted at the time. Turkey’s foreign ministry said it had shared “necessary information” with the US, but insisted the case should be left with its judiciary. Mr. Brunson is one of 20 Americans who was charged after the coup two years ago, according to the New York Times. More than 50,000 people were arrested in Turkey in President Recep Tayyip Erdogan’s huge post-coup crackdown. 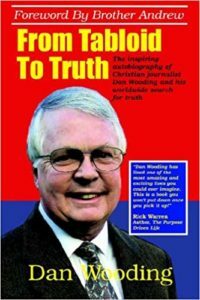 He blames Pennsylvania-based Muslim cleric Fethullah Gulen for the attempt, but Mr Gulen denies any involvement. 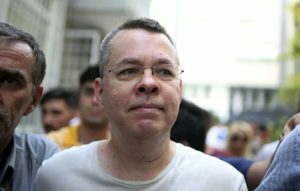 Turkey wants the US to agree to his extradition. President Erdogan has indicated he would swap the pastor for “the priest” (Mr. Gulen). “US support for Kurdish forces fighting the Syrian civil war has also angered President Erdogan, who views them as an extension of the PKK,” said the BBC.